← Are You Ready For Your Mid-Year Financial Fitness Checkup? 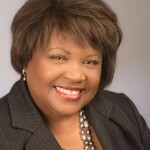 I was recently a guest on Anita Johnson’s radio show Money Wisdom for Women. I had the opportunity to discuss a topic that is near and dear to my heart-long term care planning. I have covered some of the highlights below. a) Women are Caregivers: Women are more likely than men to be caregivers to children, spouses, and aging family members. We spend more time out of the workforce to which can impact our retirement and other benefits. b) Women Live Longer Than Men: On average, women outlive men by about five years. A healthy 65-year-old woman has a 50% chance of living beyond age 88 and a 25% chance of living beyond 94.3 (wiserwomen.org). c) Women Spend More Time in Nursing Homes then Men: People who spend years in a nursing home tend to be single females over 80 suffering from dementia. Click here to listen to my Money Wisdom for Women interview. This entry was posted in Financial Planning, Personal Finance, Planning For Women, Risk Management and tagged financial planning, planning for women, retirement planning, women and money. Bookmark the permalink.